Food is an art form; especially when served to hundreds of people. Steak Shop Catering in Winona understands this and provides quality food and customers service for every event they cater to. From catering to daily school lunches, weddings, corporate events, graduations, and so much more, the staff at Steak Shop Catering have the experience to handle any catering situation. Although they make delicious foods, they also know that when it comes homemade dishes, sometimes a customer’s favorite family recipe can’t be beat. That is why Steak Shop Catering will prepare a customer’s own recipe upon request. That is what we call quality service! On top of catered home-cooked meals, Steak Shop Catering also provides an abundant array of rentals such as popcorn machines, chocolate fountains, linens, and more. With so many menus and inventory, it was difficult for the staff to keep their old website updated. In fact, a separate website had been created to manage the party rentals. To help combat the large inventory, our team created a catering website big enough to accommodate it all. 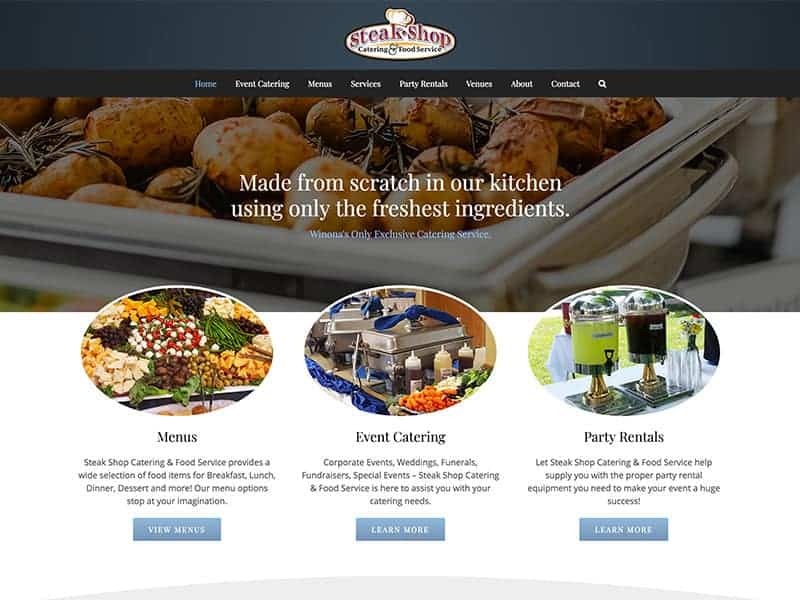 The menus and inventory were reorganized for easy navigation and Steak Shop Catering wanted the new website to highlight corporate/business catering; a venue that hadn’t been highlighted previously. A contact form was also linked to the menu pages to generate a stronger call to action. When we were finished, Steak shop Catering had a stunning new website that was easy to navigate, mobile friendly and designed to fit the company’s needs. 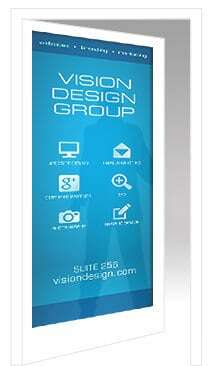 If it is time for a new website, give us a call. We can create a new site fit for your business!